Why is Toyota the Best Choice Among Automakers Like Honda, Subaru, Nissan, Hyundai, Chevy & Ford? With so many of our big life decisions being influenced by outside factors, it can be difficult to feel like we have control over anything these days. But when it comes to time to buy a new car, truck, or SUV in Warwick, you can break out the notepad and the rule for some serious pros and cons lists–because this choice is all yours. At Balise Toyota, we know you have your pick of the litter when it comes to new cars in Providence, Cranston, North Kingstown, and Pawtucket. So, when you sit down to compare Toyota models to top challengers from Nissan, Honda, Chevrolet, even Jeep and Subaru, it’s important to have all of the information you’ll need at hand. Even if you’re a die-hard brand fan of a different automaker, you might find that a Toyota offers more of the features you want at a price that better fits your budget. Sure, Toyota is the best-selling retail brand in the country; and it offers more AWD and 4WD options than just about any other non-luxury brand; and its vehicles typically cost less to buy, insurance, and maintain; and it’s also seen as one of the safest and most trustworthy brands on the market–but when it comes to The Big Decision, how will you know that the Toyota brand is right for you? We’ve got some reasons. If you want to dive right into comparisons, scroll to the bottom of the page. No other automaker has a reputation for durability that Toyota does. This has a lot to do with the manufacturer’s firm commitment to introducing new driver assist technologies, striking exterior designs, interior comforts, and more. 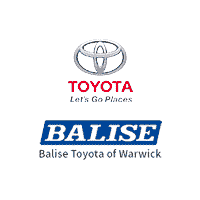 Once you take a seat behind the driver’s seat, you will notice that attention to detail and brilliant design are equipped with each new Toyota at Balise Toyota of Warwick. We believe your 2018 Toyota model will be more than ready for the miles ahead, allowing you to put your concerns in park, so that you can enjoy your drive throughout North Kingstown, Coventry, Cranston, and beyond. Here are five big reasons why you should consider a Toyota for your next vehicle purchase. And that’s just a reflection on the brand as a whole; we haven’t even begun to get into the nitty-gritty details yet. The team at Balise Toyota of Warwick works hard to comb through performance specs, pricing information, features and package options, dimensions and cargo capacity, accessories and equipment, and safety ratings across the industry to give the most accurate comparisons of popular Toyota models vs comparable rivals. Browse through all of our available competitive comparisons below to see why so many drivers in Warwick and Providence are choosing Toyota over top models from other big brands including Honda, Subaru, Kia, Nissan, Dodge, Mazda, Lexus, Chevrolet, and Ford. If you’re stuck between two vehicles and you’d like help with a custom comparison, feel free to contact us so we can help you out. Even if you don’t end up buying with us, we want to be sure that you’re getting the best vehicle for your needs.